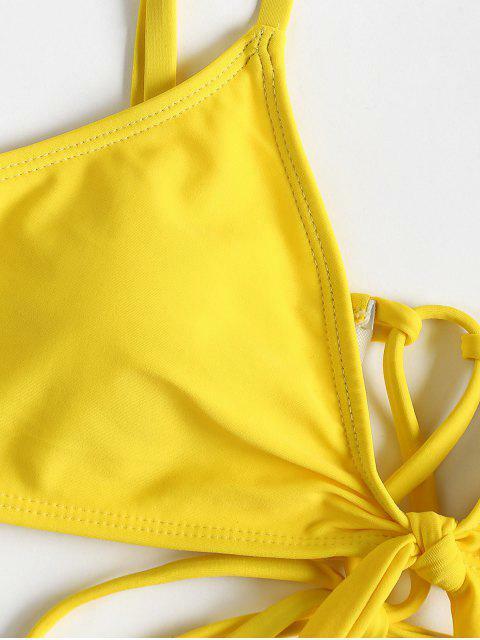 [55% OFF] 2019 Cami Plus Size Printed Bikini In YELLOW | ZAFUL ..
Suits for tropical vacations, summer, beach, and pools, this bikini swimsuit is quite popular with beach ladies. It covers a solid bra top with front knot detail and adjustable lace-up back, and a cheeky printed swim bottom. Shoulder straps are adjustable for a great fit. No underwire, but sponge pads for lightly support.